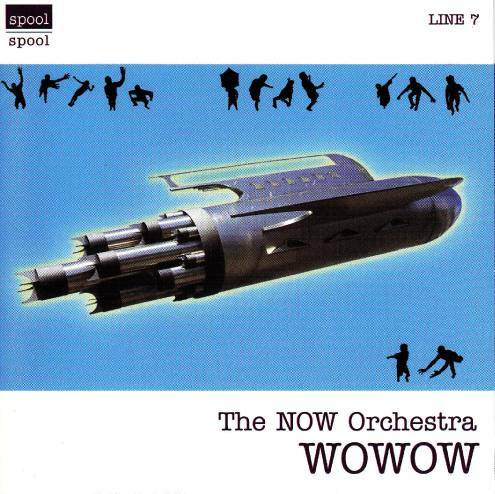 WOWOW was recorded live on November 14 and 15, 1997, as the New Orchestra Workshop (or NOW Orchestra) was celebrating its 20th anniversary with a concert series in hometown Vancouver, Canada. Three new works were created for the occasion, all of them featured (in part) on this CD. The music is typical NOW: a big hard-bopping stage band sound with a rocking rhythm section (including guitar (electric)). The three works showcased here are built in contrasting sections, exploiting the orchestra's ability to run at 200 m.p.h. and stop on a dime. Thoroughly composed passages (usually a solid beat with hot staccato licks) are followed by free improvisation sections where everything seems to fall apart, only to pick up later on, stronger than ever. Guests George Lewis (trombone), Vinny Golia (clarinets/saxes/flutes) and Paul Cram (clarinet/tenor sax) add power to the NOW's already strong line-up (including pianist Paul Plimley and the four members of the quartet Talking Pictures). A female vocalist is used in all three works, although more distinctly in "WOWOW," where she howls the line "Suicide by side".